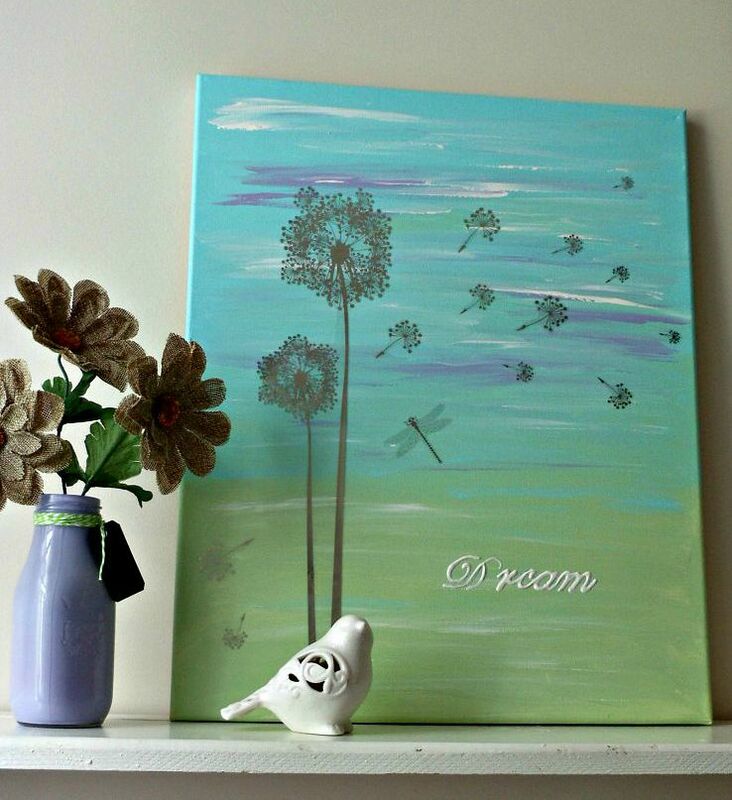 Today I am going to bring you the rest of the pieces we did for "Sissy's" DIY Dorm Decor. All these projects were so much fun to do and done with very little cost. First up I am going to show you an easy way we came up with for her to display some of her photos. "Sissy" has lots of photos that she wants to hang in her dorm room and she wanted to do it in a cute way. So we decided to make her a string photo frame. They are quite trendy right now and just the ticket for a young college freshman to keep some momentos of home. 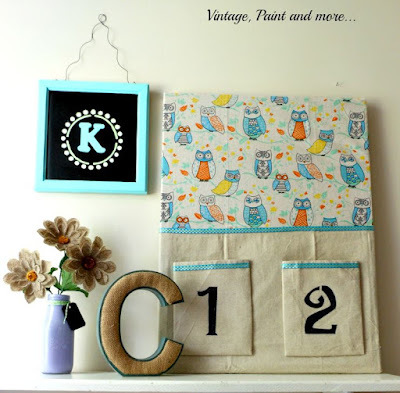 I have to say I love this project and it's so simple to do I should make several for around our home. I started with this large frame I picked up at the Salvation Army for $1.99. It was quite old as it had been dated 1976 on the back. 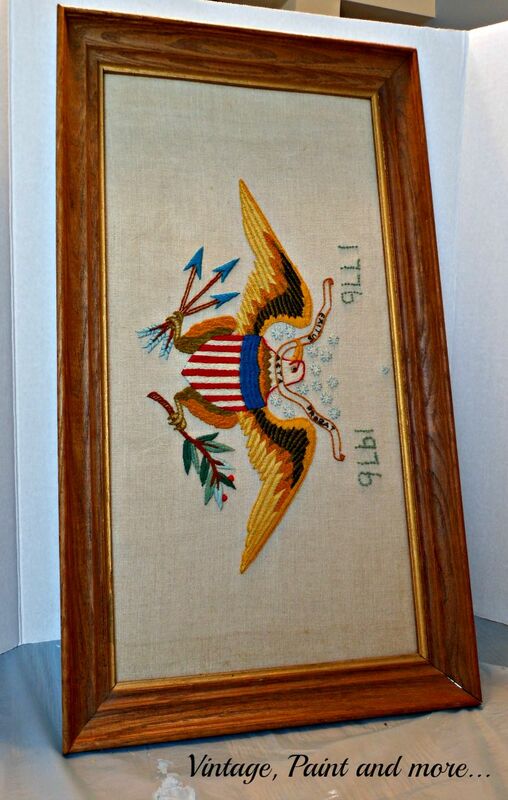 I remember doing a 1776 - 1976 bicentennial theme in "Sissy's" dad's room when he was little. But this piece was quite dirty and dinged up so needed some TLC. I simply removed the embroidery piece from it, cleaned it good and then painted it in "Sissy's" turquoise color we have been using. Next I added two lengths of string to the frame by stapling them to the back. I then added some E6000 glue to the area of the staple and string to assure it not getting pulled out. I had gotten some mini clothespins quite some time ago so we covered the fronts of them with different colors of washi tape I had on hand. They look so cute hanging on their lines. Here it is all finished with a few photos placed on it so you can see how it will work. Isn't it just perfect for a small space to display all those photos. 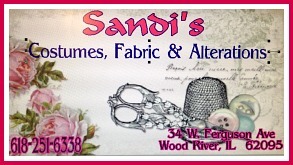 Next I want to show you a couple more little items we made. 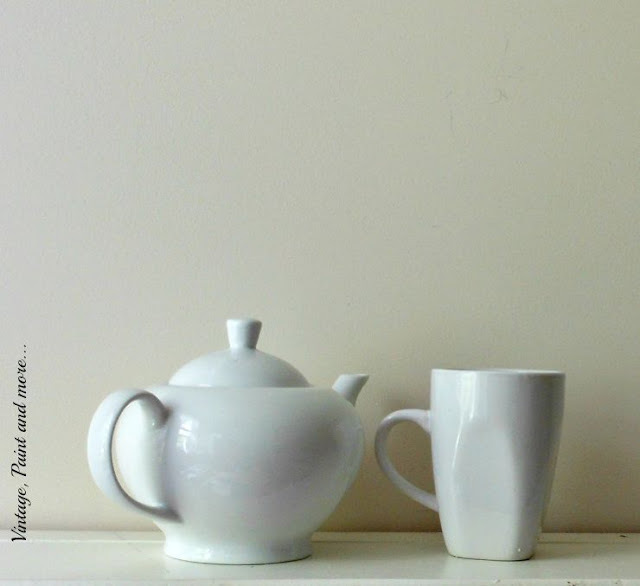 "Sissy" loves tea so I thought it would be nice if she had a monogrammed tea pot and mug for when she wanted a hot cup of tea on those cool evenings coming up. I picked up the teapot at Old Tyme Pottery for $3.99 and the mug came from the Dollar Tree. I decided to make a cute little set with her monogram and a sharpie marker. 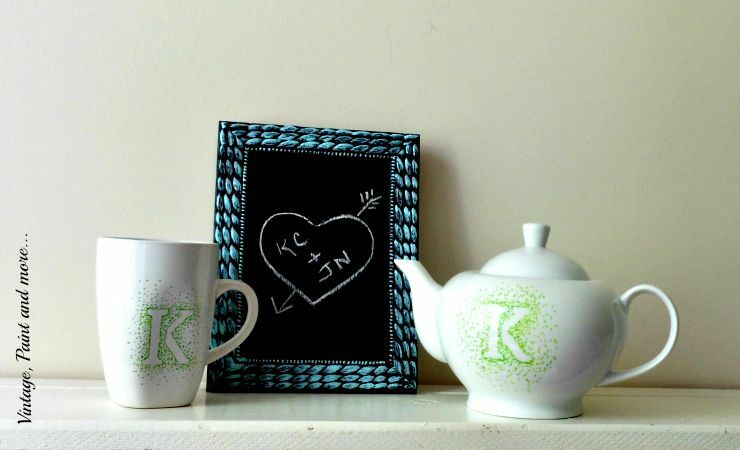 All we did was tape the letter "k" on the mug and teapot then made little dots using a green sharpie marker. We started with the dots very close together up next to the letter and then farther apart as we extended the dots out. I then baked them in a 425 degree oven for 30 minutes and let it cool in there overnight. This way it should be permanent. The frame in the middle is actually a picture frame I picked up for $.50 and painted the glass and the frame with black chalkboard paint. This frame has a very decorative edge so I decided to go over it with a dry brush of the turquoise paint we have been using. This way only the the raised areas are highlighted with the turquoise and the recessed areas continue to have the black showing through giving it a very nice look. She can use the chalkboard to remind herself of important things or just write something fun on it. Next we took some old shoe boxes that we had and decided to deck them out for some added storage for her. 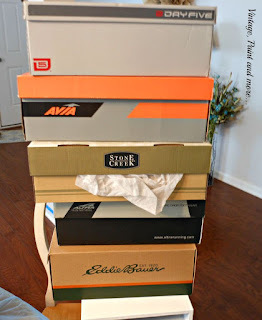 (I keep all the shoe boxes that we get and use them for all sorts of projects.) We painted them in the colors she is using and then embellished them with wrapping paper, ribbon, and trims. I then added some chalkboard labels so she can write what's in each box and easily find what she is looking for. Here's a side view of the boxes. I think she has some pretty chic storage for zero money spent. And if she needs more - we have plenty more left. So, what do you think of all our great DIY Dorm Decor? We had so much fun doing it and I think it is really going to brighten up her room and give it just a touch of that "at home feeling" for her. Especially in those first days when home sickness can get to the strongest of us. I will be linking up to the parties post Where I Party. 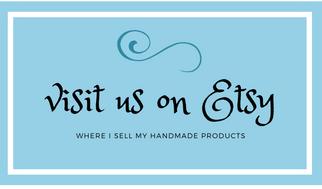 Please be sure and check them out - you will find so much great creativeness and inspiration at each one. Wow Cathy you really did some amazing projects...love them all! I am sure her room is just adorable with all that you have created for it! I love the storage shoe boxes! What a great idea! Very clever and creative projects! 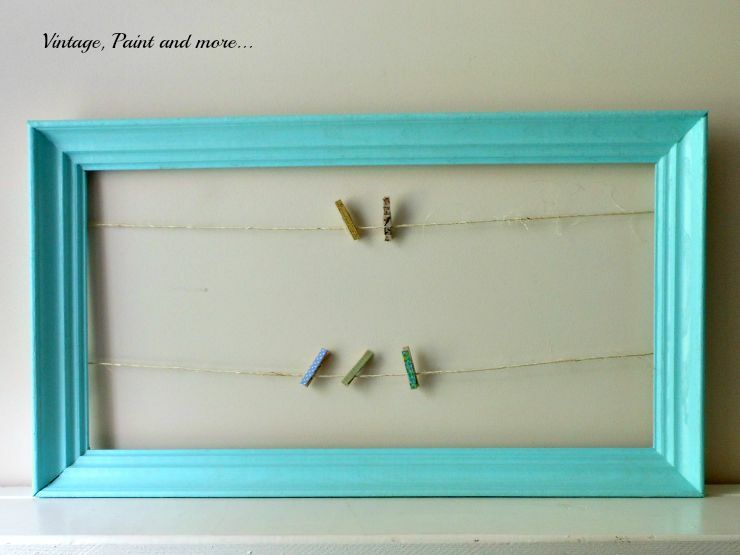 I love what you did with the frame! 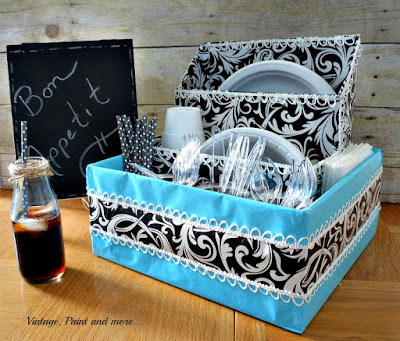 these are such great diy's! her dorm room is going to look awesome! 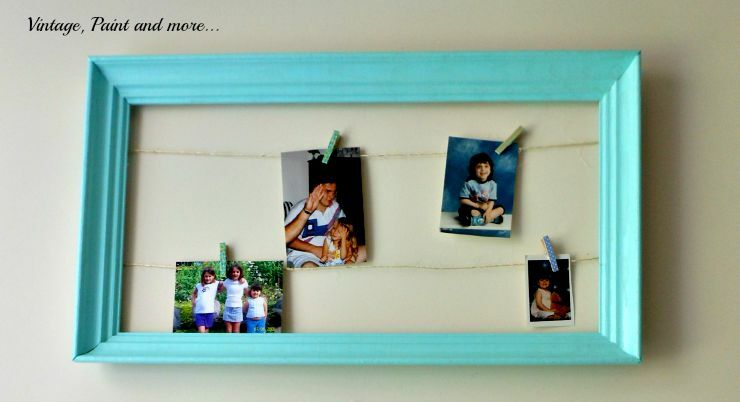 love the picture frame, thinking of doing that in my girls room, it is so darn cute! 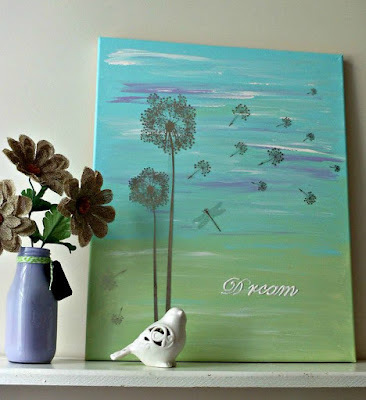 thank you for linking up at Pin Worthy Wednesday! 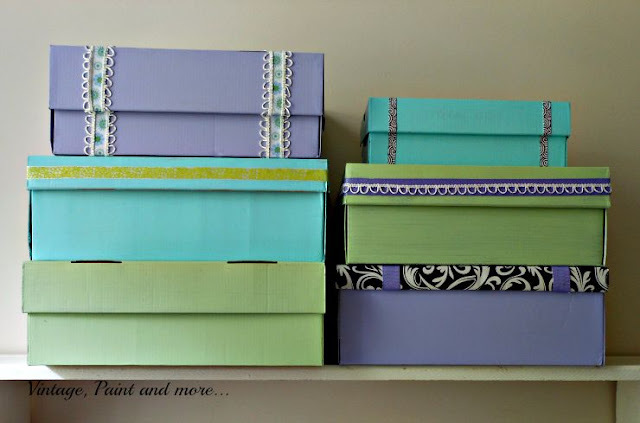 What cute little projects for a limited space and budget. 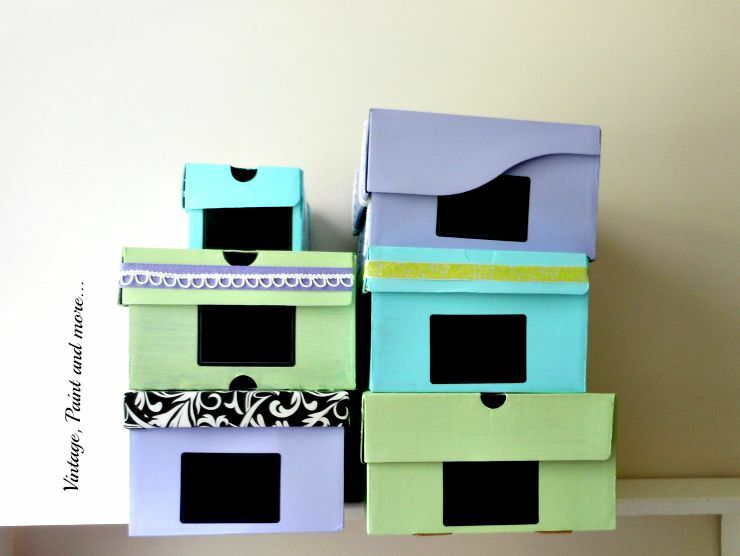 I'm really digging the dry brushed chalkboard frame and the repurposed shoe boxes. It's amazing how people can trash the free stuff, then PAY for something similar. Great ideas! Thank you for linking up with us at Welcome Home Wednesday! We hope to see you again next week! You have really made her space a fun place! I bet she loves it. I do hope you held on to that embroidery. I love it as well. Thanks for sharing with SYC. These are all great ideas. My daughter loves to hang onto her shoe boxes. That would be a great project for her to do. I love this! That's such a pretty shade of blue! Thanks so much for sharing at the Submarine Sunday Link Party!! I hope you'll stop by again soon!